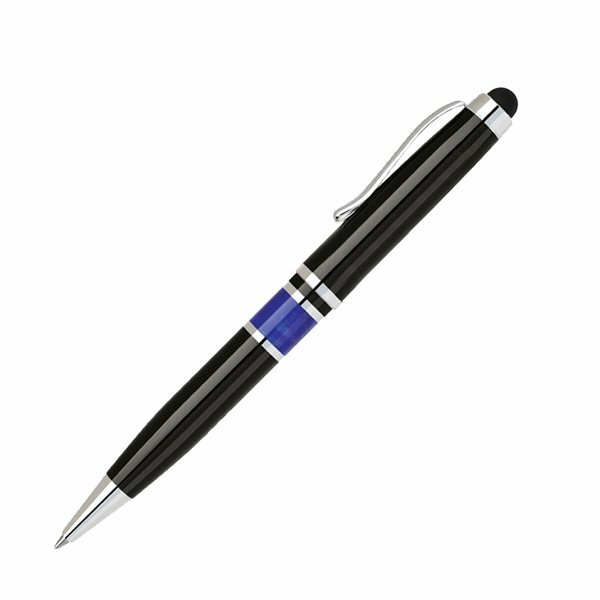 Twist-action brass ballpoint and stylus, high-gloss lacquer barrel, blue agate resin center band, polished chrome points and trim. Fully compatible with all capacitive touchscreen devices. this product is really nice and sturdy and worked great. the bag is much easier to take and very sturdy. My customers really like them. the service representative was very polite, pleasant and helpful even for such a small order. some other products are a little more than expected. Our order was delivered in no time. When we had to re-order it was so simple and quick.it is exactly what we needed. thanks the best products give away for our sporting goods anniversary celebration!